Currently being showcased at the David Zwirner art gallery in NYC, Japanese artist Yayoi Kusama is undeniably one of the most influential visionaries connected to my work. 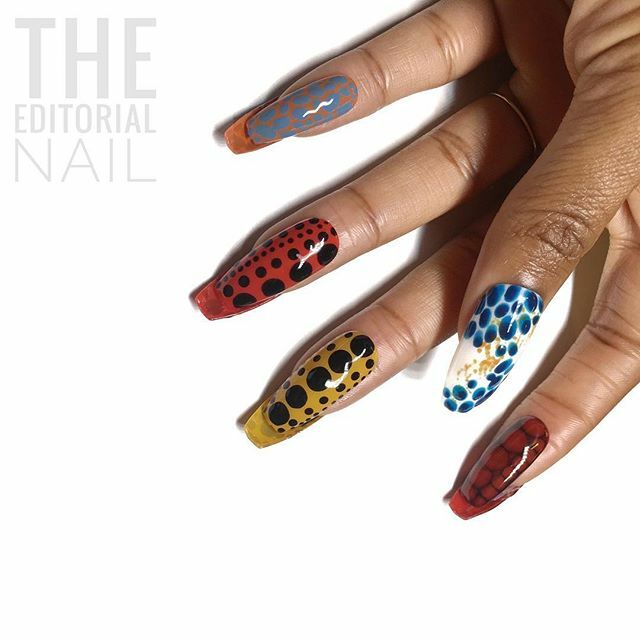 The Editorial Nail is originally known for the elegantly curated minimal work with an infusion of artsy and unconventional works of art on a small anatomic canvas. We love simple and chic, yet we also love the strange and trippy. Sundays will be dedicated to creations of nail art derived from life's daily inspirations and reveled muses.